GTS 2017 Events have begun! Official GTS 2017 Events have begun! It resets at midnight pacific time. At the end of the events, we will use this information to collect data from your account. Otherwise, it won't count. That's very important. PokeHunt will begin later in the week, and PokeLeague will begin later in the month. Please ask any questions you may have, thank you! 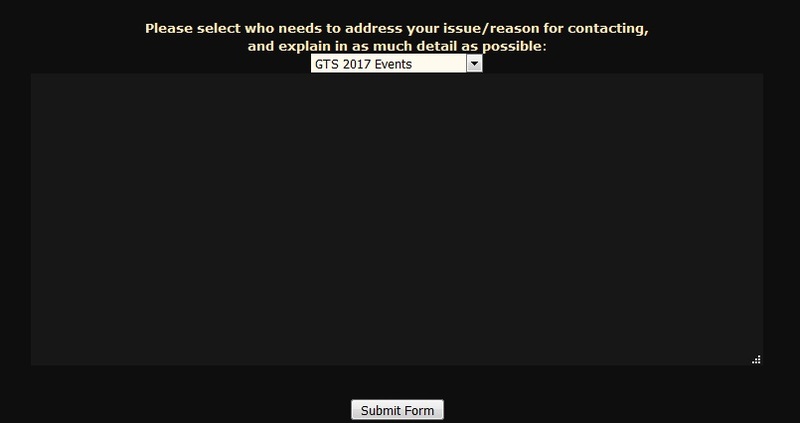 RE: GTS 2017 Events have begun! Basically, if you refer people here that are posting & trading, you will automatically earn points of all of their activity. So in the contact request form, we just type in which one we're doing like forum activity if we're interested? It generates a referral link for you too.